One of the leading telecommunications companies operating in the country, Airtel Nigeria, is considering listing its stocks on the Nigerian Stock Exchange (NSE), reports say. The company wants to list its shares on the local bourse by introduction, with the process expected to commence probably before the end of this year. Leader in the telecoms industry, MTN Nigeria, is already in the process of joining the Nigerian stock market. 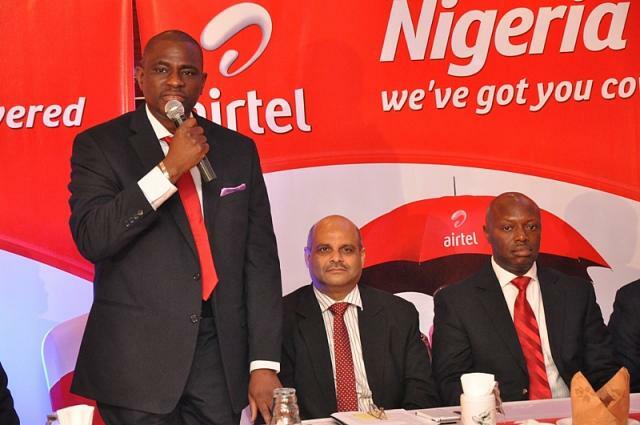 Yesterday in Abuja, top officials of Airtel Nigeria held a closed-door meeting with the management of the Nigerian Communications Commission (NCC), the Securities and Exchange Commission (SEC), Stanbic IBTC Holdings and the NSE ostensibly to discuss how to make the exercise a reality. Shortly before the crucial meeting yesterday, Executive Vice Chairman of the NCC, Prof Umar Danbatta, had informed newsmen that the regulatory agency was happy with the expansion programme of Airtel Nigeria. “It is good to see Airtel providing services, especially 4G services. It is good to hear the level of expansion because we are seeing remarkable improvement in broadband penetration. “The figures are increasingly going up. We are at about 33 per cent now. This we can attribute to very ambitious expansion of network operators like Airtel in places like Lagos, Kano, Rivers, Ibadan and Abuja. This lends credence to figures we are seeing from broadband penetration. “We are seeing increase in broadband subscription, especially to services provided by Airtel. It is good for Nigerians to hear that Airtel is helping us to hit the broadband penetration target. All parameters are steadily growing courtesy of expansion programme of 4G operators in the country, especially Airtel,” Punch quoted him as saying. It is important to note that a bill is presently at the National Assembly seeking to compel operators in the Nigeria telecommunications market to list their shares on the NSE. The presence of Stanbic IBTC Holdings officials at Wednesday’s meeting gives the impression that Airtel Nigeria might soon become a new member of the NSE. Stanbic IBTC is registered Issuing House and an underwriter with SEC, providing investment banking services to corporate clients.